Avast is one of the popular antivirus programs among the windows users which keeps on releasing new versions every year. 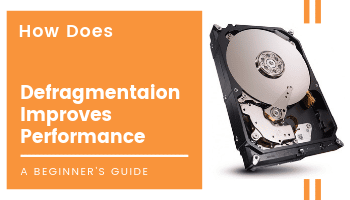 Along with the latest version they also release several updated features for the software. One such feature is its latest online Avast security plugin which was formerly known as Web Rep. Although a lot of people prefer to remove or uninstall Avast online security plugin from their browser. 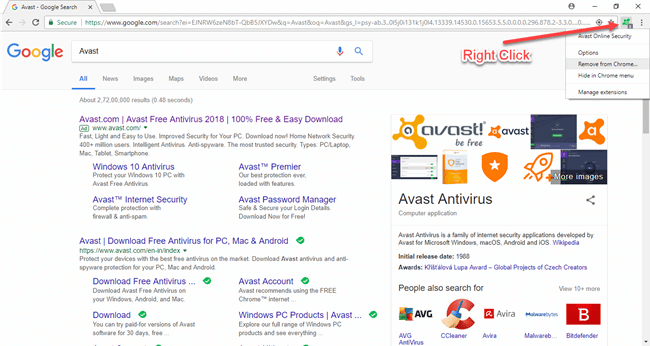 What is Avast Online Security Plugin? 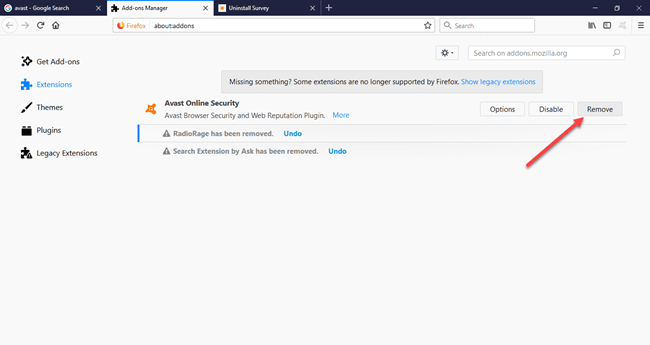 Avast online security plugin is a browser extension which shows reputation or popularity of a webpage based on online feedback from its users. This crowd sourced plugin is supposed to protect its users from browser hijackings, phishing sites, malware infected sites and more based on the data collected from millions of users. Gathers data about malware infected sites and warns you before you visit them. Redirects you to authentic site when urls are mistyped. Users can create a list of trusted site for themselves. 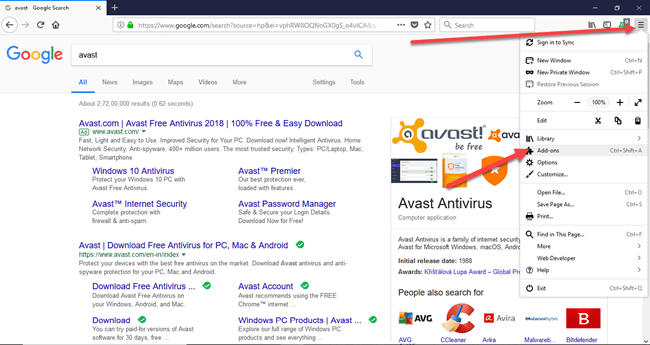 How To Remove or Uninstall Avast Online Security Plugin From Chrome, Firefox And Internet Explorer. Even though the plugin is supposed to keep you safe in the online world, a lot of people find it to be intrusive as it changes the look and feel of the browser as below. If you would prefer to get the extension uninstalled I am going to help you do that step by step. 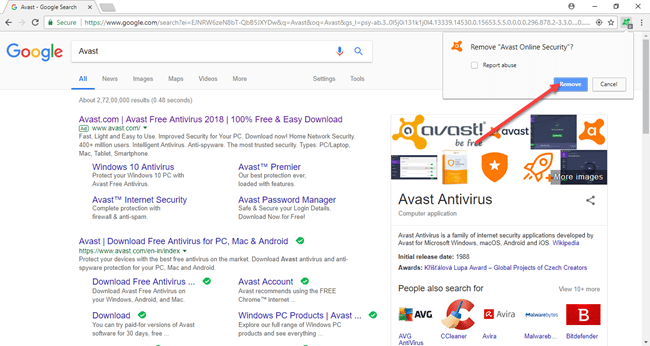 It is pretty easy to remove or uninstall the Avast online Security plugin from chrome. Follow the guide shown below. Firstly right click on the green Avast symbol on top of chrome beside the browser address bar. That will pop up a menu where you get the option to remove it from chrome. Click on that and you should get the confirmation to remove it as below. Click on it and you are done. Note: In case you are not seeing the extension beside the address bar, it might have got hidden. In that case you can easily remove it from the extensions option in the chrome menu bar where it will be listed. This is going to open up the list of installed addons in Firefox and you need to click on remove on the addons plugin from there to remove it from the browser. The process is all similar as of Firefox in case of Internet Explorer and Edge browser. Go to the settings menu and find plugins or addons. Then click on the Avast extension and remove it from the browser. Restart the browser once you are completed, to make the final changes. 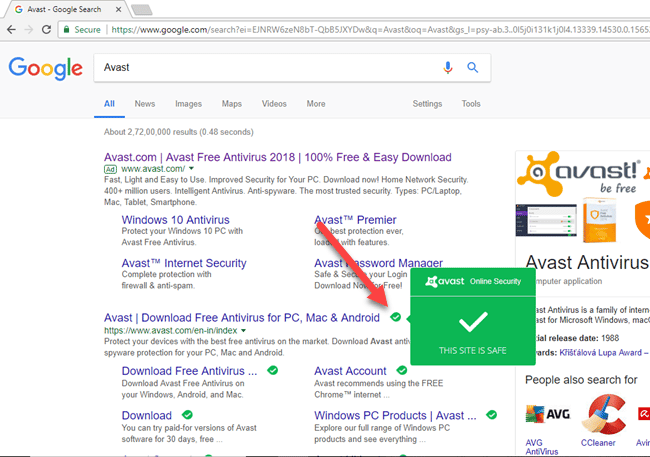 If you are still having problem to remove Avast Online Security Plugin, feel free to leave a comment below so we can help you.